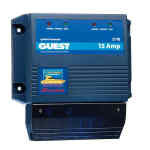 GUEST MARINE World's smallest 3-Amp 12-Volt Charger, for 12-volt systems. Can also be used as a full-time maintenance charger. 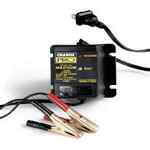 A complete small boat battery management system. Charge two batteries at or away from the dock. The P12 Battery Charger is a four stage, three output, dry mount charger designed for use in harsh environments where reliability, ease of use, and high performance are of primary importance. Even your classic car can be charged with the 6V mode. The portables come with two sets of cables-one with ring terminals and one with alligator clips. The Charge Pro Portables offer a versatile charging solution that you can take with you in your car, truck, boat, motor cycle or anywhere else you need power. 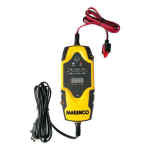 Fully automatic 6-Amp, 12-volt charger/maintainer, comes complete with 6' AC cord and 4' DC outputs with alligator clips. Fully potted, waterproof, vibration-resistant. 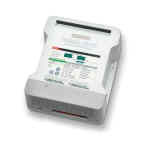 Digital Mobile Charge130 alternator to battery on-the-water charging system provides a significant increase in charging capacity of up to 130 Amps. Digital Mobile Charge40 is a breakthrough in battery to battery, on-the- water charging technology. Industrial Commercial Series (ICS) maintainers are designed to give the user communication with the microprocessor using a touch-pad control center. 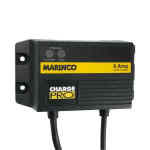 ChargePro onboard chargers have the same housing and mounting dimensions as our traditional Charge Pro Guest chargers with a number of performance enhancements. Its direct current outlet is so clean that the battery charger itself can be used as direct power source, even without a battery. Mastervolt’s 3-step+ charging method guarantees optimum efficiency, meaning your batteries will perform better and last much longer. The high-frequency switch mode technology, in which advanced microprocessors combine a myriad of functions, causes an extremely accurate charge characteristic. Designed for larger, more professional systems with larger battery capacities, the basic technology consists of high-frequency electronics with no heavy or noisy transformers. 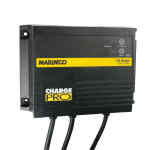 ProSport On-Board Marine Battery Chargers incorporate all-digital microprocessor control. Tournament Winning Technology. 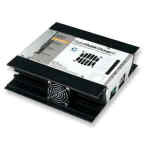 The fastest battery charger with the most features in its class. Tournament Winning Technology. 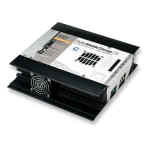 The fastest battery charger with the most features in its class. Specifically designed to deliver maximum charging performance and extend battery life. You want to stay in complete control of the situation and have accurate information. 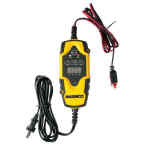 This temperature sensor is included with every battery charger.